Kennedy’s Justice Department also oversaw the Hong Kong Parole Program, which admitted around 15,000 refugees from Communist China to the U.S. 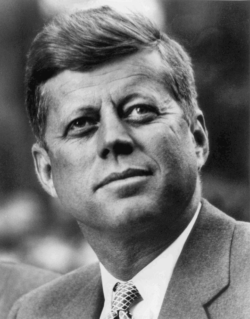 When Kennedy was assassinated in late 1963, a significant immigration reform package was already under consideration by Congress. This bill was signed into law by President Lyndon Johnson as the 1965 Immigration and Nationality Act, which made sweeping changes to the way the U.S. handled migration, eliminating regulations designed to favor immigration from Northern Europe and emphasizing family reunification.